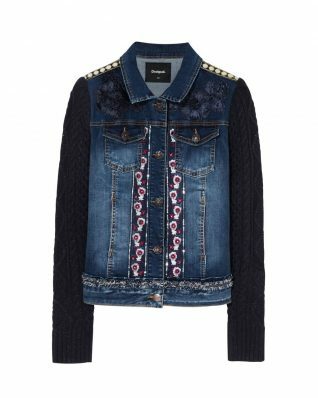 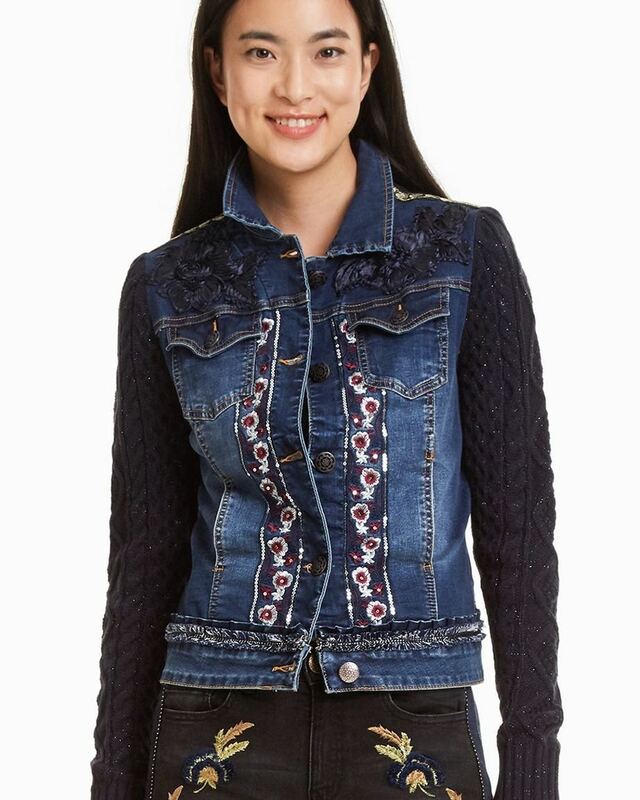 Desigual Jacket “Emuna”- a piece of art denim jacket featuring embroidery and crochet with lace design, knitted sleeves with shiny lurex threads, buttons closure, pockets. 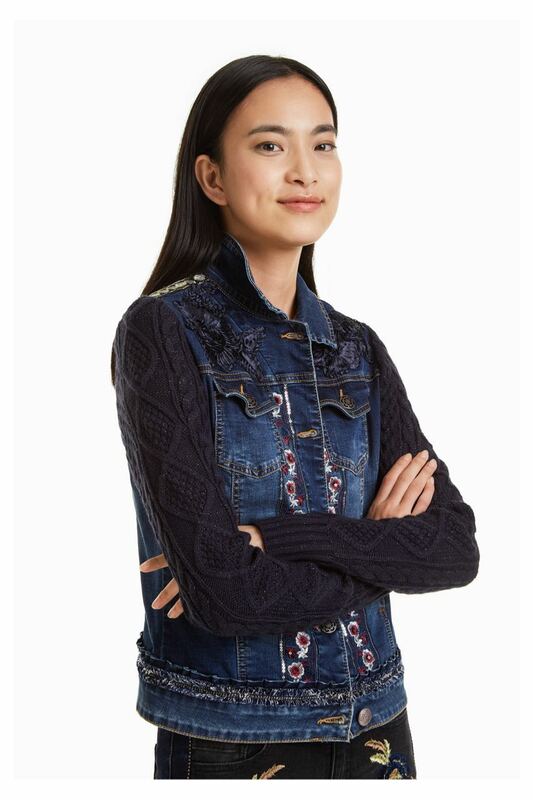 Comfortable fit, stretchy. 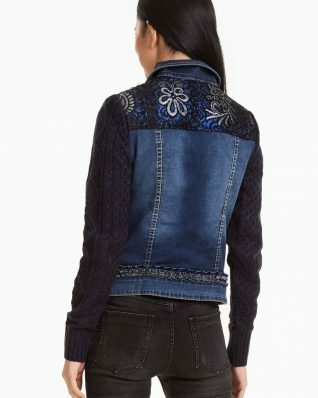 One of a kind exotic bohemian romantic style, wow! Cotton – Acrylic – Polyester – Elastane – Metallised Fiber.